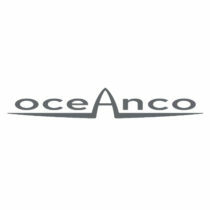 OCEANCO YACHTS is a Dutch shipyard known for building some of the finest yachts in the world with one-of-a-kind innovation and style. 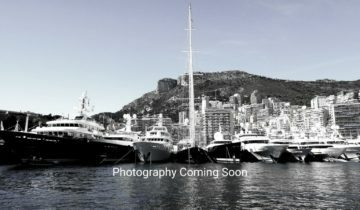 Their large yacht facilities in the Netherlands and Monaco position the builder to cater to an international clientele. 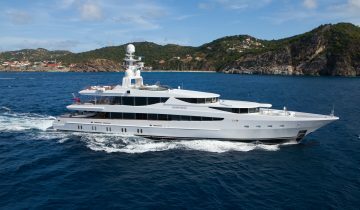 The in-house design team collaborates with the industry’s finest designers to craft custom yachts from 262′ to 360′ (80m to 110m). World-class new yacht construction by Oceanco includes the 282.5′ (86m) SEVEN SEAS, the 290.35′ (88.5m) NIRVANA, the 266.63′ (81.27m) ALPHA NERO and more. As a premier luxury yacht builder, Oceanco works with the world’s finest interior and exterior designers including Bjorn Johansson, Nuvolari Lenard, Sam Sorgiovanni and others, to create a yacht with thoughtful precision and detail to the client’s liking. Browse the entire fleet of Oceanco yachts for sale or find an Oceanco yacht for charter below. For more information about Oceanco yachts for sale and your own custom tailored yacht report, or to book a Oceanco yacht for charter, simply contact the Merle Wood & Associates luxury yacht brokerage firm.